Food. Family. 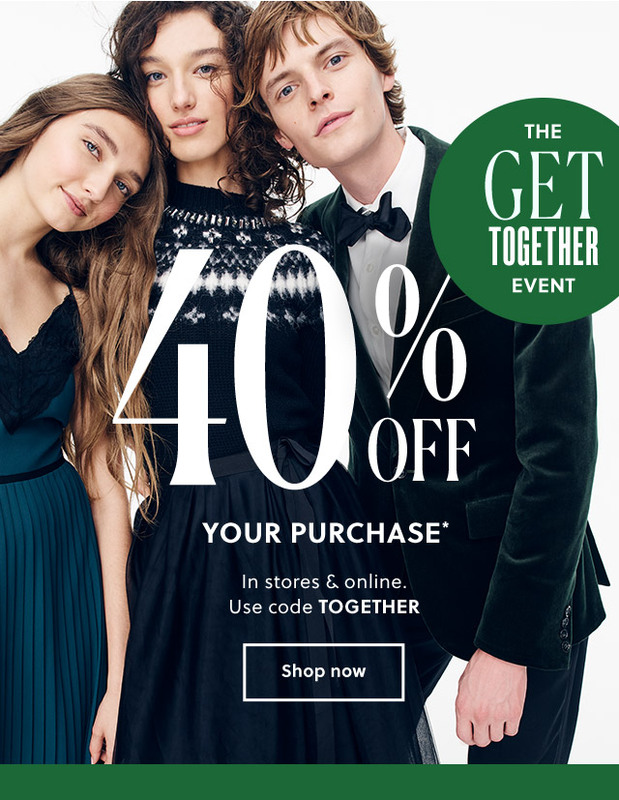 40% off your purchase. 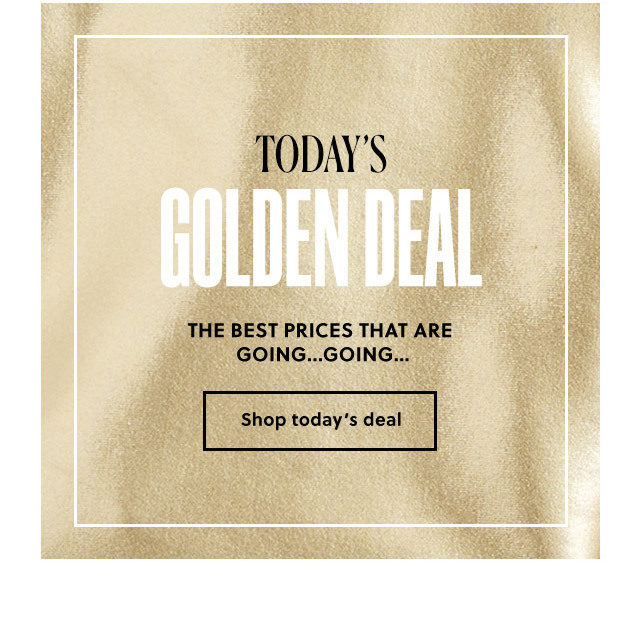 †The J.Crew Rewards program is provided by J.Crew and its terms may change at any time. 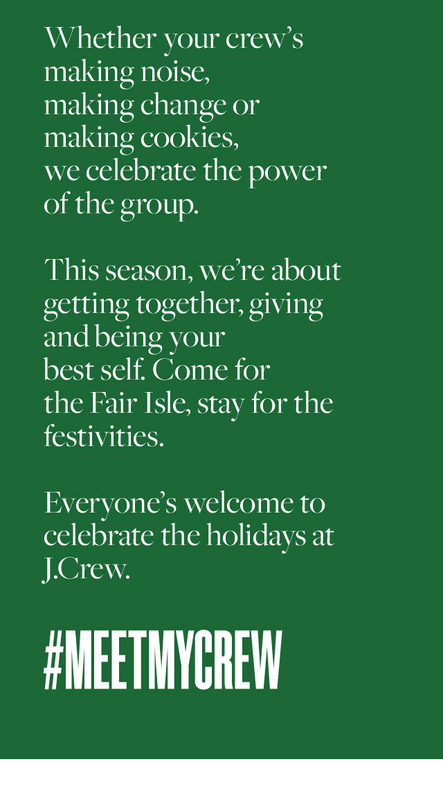 Click here for full J.Crew Rewards program terms and conditions. Valid in the U.S. only. Terms of offer subject to change.